Anyone who often write emails at work and would like to be more professional at what they're doing everyday. Register before 04 Feb 2019 for only RM1,299 per person. For 3 paxs registration, the 3rd person will receive a complimentary seat. Register before 12 Apr 2019 for only RM1,299 per person. Register before 29 Apr 2019 for only RM1,299 per person. Register before 07 Jun 2019 for only RM1,299 per person. Register before 09 Aug 2019 for only RM1,299 per person. When information needs to be disseminated quickly, nothing can be better than using email. However, with the benefit of speed comes some problems that aren't always predictable and realized unless otherwise forewarned by the management. This email etiquette training course is designed to help employees know the appropriate use of Internet while at work as well as behaviors they must vigorously avoid. Explain instances when sending email is necessary and appropriate. Identify occasions when sending or retrieving email is unacceptable. Understand items they should never send electronically from their workplace. Create an email subject line that accurately describes the content of the message. State and avoid 12 of the most common mistakes people make in business writing. Consider the visual components that enhance an email message and make for easy reading. Determine who should and should not receive copies of emails. Know what to do when emails misfire and reach the wrong people. 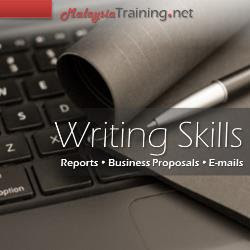 Develop a personal action plan to improve their email skills at work.